Plot Summary: A fire suddenly erupts aboard a luxury liner causing panic and destruction. Passengers scramble to get to safety as the ship sinks beneath them. Comments: An excellent film that boasts fantastic effects but lacks any really exciting moments. The acting and the dialogue was good and believable throughout the film. The films let down is that it failed to create any real sense of tension or desperation. 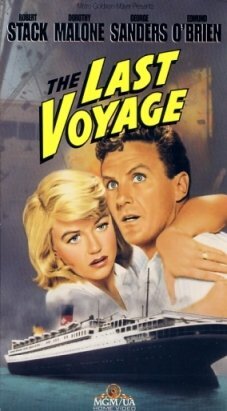 Special Effects: 'The Last Voyage' contains some of the most believable effects seen in a film. Apparently parts of the ship were actually sunk. The explosion scenes were also very realistic.